I'm Back! I survived Girl's Camp and now I'm ready to get back in the swing of things. I had promised a post on sewing with knits and here it is. Resources: Because I'm not an expert myself, I skimmed several books and websites for information. It seems that most basic sewing books will provide information on working with knits or stretch fabrics. Here are a couple that I used. Feel free to hop on over to a few of these blogs to find more helpful tips and suggestions. Some little goodies that I just picked up. I'm not really going to get into Single and Double Knits, but the project that you are making will dictate what type of knit you should select. Double knits are a bit sturdier than single knits and are frequently used for skirts, pants, jackets, and dresses. Double knits have minimal stretch and are medium to heavy weight. 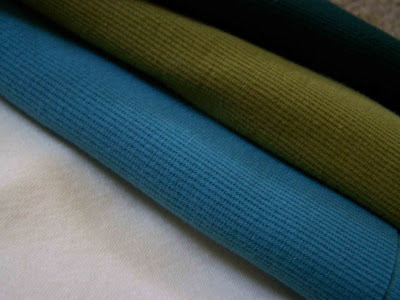 Single Knits are light to medium weight and are great for T-shirts, tops, pull on pants, and sleepwear. They have a 20-25% stretch. 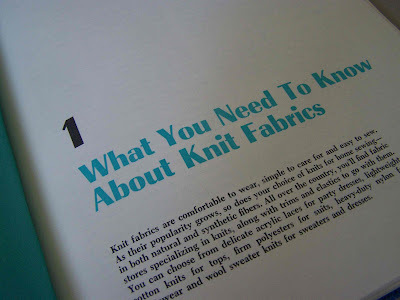 If you would like to learn a bit more about single or double knits check out Denver Fabrics or Essortment. If you are following a pattern your package will direct you to the preferable fabric choice, if you are not using a pattern do your research and decide which fabric is best for your project. If you are using a pattern you might find a little gauge like this on the back of the package. This is intended to help you select a pattern that is appropriate for project. It is really easy to use once you understand what it is for. They measure the stretch of your fabric. If you are making an item that requires stretch you will need to ensure that the fabric itself stretches. Anyhow, to use this gauge you fold your fabric over 3", measure out 4" of fabric, and stretch in crosswise. If the fabric stretches at least as far as the marking on the gauge (without being forced), then the fabric will work for your pattern. The ribs on the knit should not be distorted. When purchasing your fabric, it is always wise to buy a bit of extra fabric since knits have a tendency to shrink when washed. 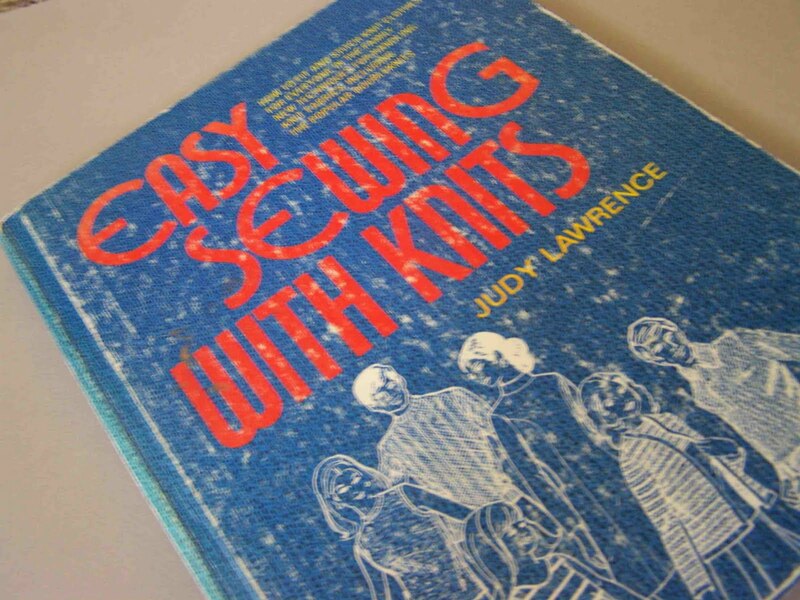 For best results you will want to preshrink your knits before sewing them. Your fabrics should be washed the say way that you will launder your finished item. Pre-washing your fabrics will not only pre-shrink them, but it can also remove any surface finish from your fabric, making your project easier to sew. Pressing your fabric is another one of those necessary evils. Pressing allows for your fabric to be crease free. Any creasing will effect the way your fabric lays when it is cut out. Press your knit fabric using an up and down motion rather than a back and forth motion. Knits generally press best using light touch and high moisture. You also want to press lengthwise with the ribs (to prevent any fabric distortion). When you lay out your pattern pieces, use a "with nap" pattern layout. Because of the knit construction the ribs of knit show up as a difference in color shading in a completed garment. When laying and cutting out a pattern do not let your fabric hang off of your cutting surface. 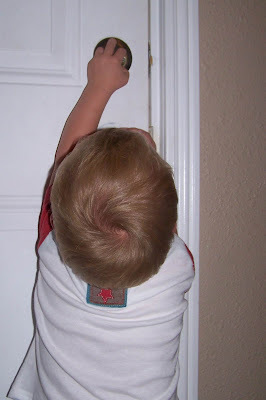 Hanging fabric can cause your fabric to stitch and distort your pattern pieces. I generally lay my cutting mat on the floor for a flat cutting surface. Essortment suggests laying a piece of tissue paper below your knit fabrics when cutting out your pattern. She recommends sandwiching your fabric between the tissue paper and pattern pieces and using pattern weights to anchor everything down. I have found some conflicting information on pattern weights vs. pins. 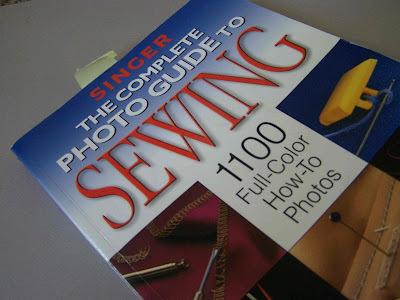 My Singer sewing book suggests weights for knits with an open or lacy texture. 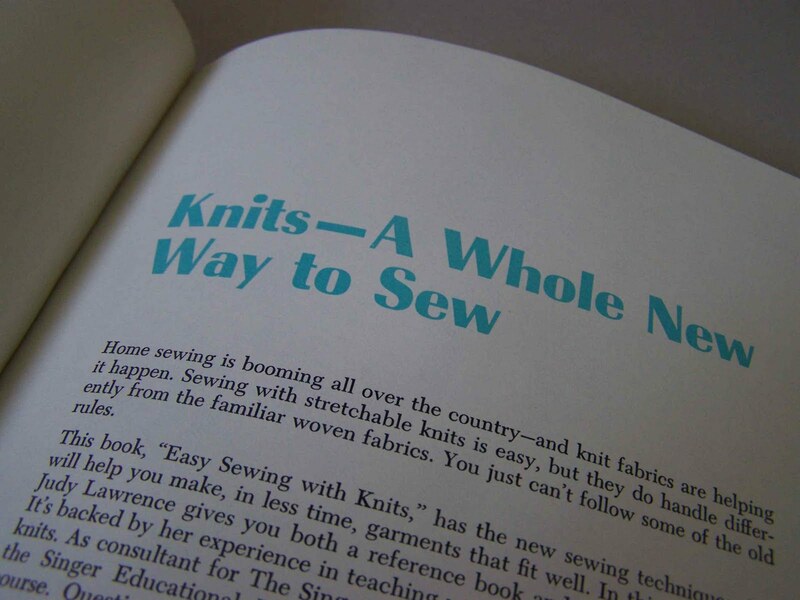 My Easy Sewing with Knits book recommends pins with a large glass or plastic head so that they don't get lost in the bulk of the fabric. I imagine that weights are the safer way to go, but pins should work just fine as well. I have used both methods with successful results. Marking your pattern: use of pen or marking chalk is recommended over a rotary marking tool when marking your pattern. The rotary action of the marking tool can pull your fabric and cause it to stretch. Cutting out your pattern: Knits require sharp shears when being cut out. A rotary cutting tool works well with knits and should not stretch your fabric unnecessarily. Pinking shears are not recommended for knits, and may cause your knits to fray. So there is a bit of information on selecting and preparing knits for your next project. I hope that it's helpful. I'll be back with more information on ideal stitches and sewing techniques when working with knits. Here's a sneak peak at one of my recent knit projects. I'll share more photos later. I haven't dug through all this yet, but it's something I really need to learn. I linked on my weekly roundup - thanks for sharing!